In the case of RITTER SPORT MINI Chocolate Mix Grab the little rascals! that's a kind-hearted offer: there's something for everyone in the pack. Hazelnuts, Yoghurt, Praline, Marzipan, Cornflakes, Milk Chocolate and Butter Biscuit always guarantee they cause a stir. Bounty Bagged Minis Chocolate, Available in whole milk and dark chocolate varieties, the moist, tender coconut tempts your senses with the taste of paradise. Milk chocolate with 17% raisins and 7% almonds, Cadbury deliciously creamy milk chocolate with raisins and chunky almonds, Made with a glass and a half of fresh milk. Perfect for sharing with the whole family. Belgian Tiramisu Pralines chocolates are based on the famous Italian dessert Tiramisu. This is unique combination of chocolate and coffee. All pleasures of this rish dessert in our chocolate and covered it with dark chocolate. Jelly Belly Jewel Mix Jelly Beans. These glamorous jelly beans make a stylish gift or great addition to party favors and candy buffets. Buy Imported Chocolates Online at Foodzu and get attractive discount on each purchase. Chocolate is the ultimate comfort food, a successful stand-by in times of stress, a reliable supply of consolation once life has let us down, and a mood-enhancer. Chocolate is made from tropical cacao tree seeds. Dark chocolates taste slightly bitter and so not very popular among many of us. however, it's several health and beauty advantages to supply that makes it additional desirable than the regular varieties of chocolate. A wide array of chocolates produced globally and the foodzu online stores give you the chance to choose any imported chocolate at cost effective prices. Selecting the proper and flavored chocolate for your special one isn't an easy task. The Foodzu online chocolate stores in India understand this challenge well and hence serve you with a good range of imported chocolates. By approaching our trusted online chocolate stores, you'll surely be able to purchase the distinctive gift for your members of the family, friends and loved ones. To enrich your online grocery shopping in India experience Foodzu offers an online facility to buy imported chocolates from the comfort of your home. Shop high quality of imported chocolates on Foodzu online grocery store in India and get it delivered right to your doorstep. 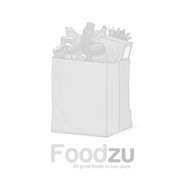 Enjoy the easy and relaxed way of online grocery shopping Bangalore India from top brands at less than MRP at Foodzu.